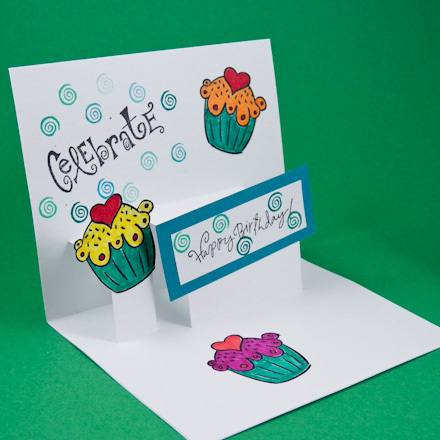 For moms near and far, this gorgeous greeting card makes for a special flower delivery. 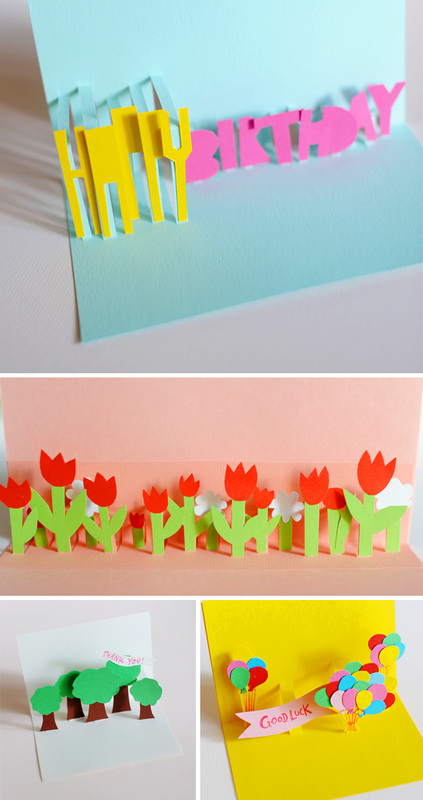 A flat card blooms into a three-dimensional arrangement that’s much more unexpected than a vase of roses. It looks intricate but takes only some snippets of paper and cleverly placed tape to create. Designing origamic architecture is not hard, but it does take a lot of time and patience. The art form has as many possibilities and your imagination is the limit. This mini lesson will take you through the beginning steps of designing origamic architecture. Most common in OA are houses and buildings: these are easy (relatively speaking) in that they are linear. 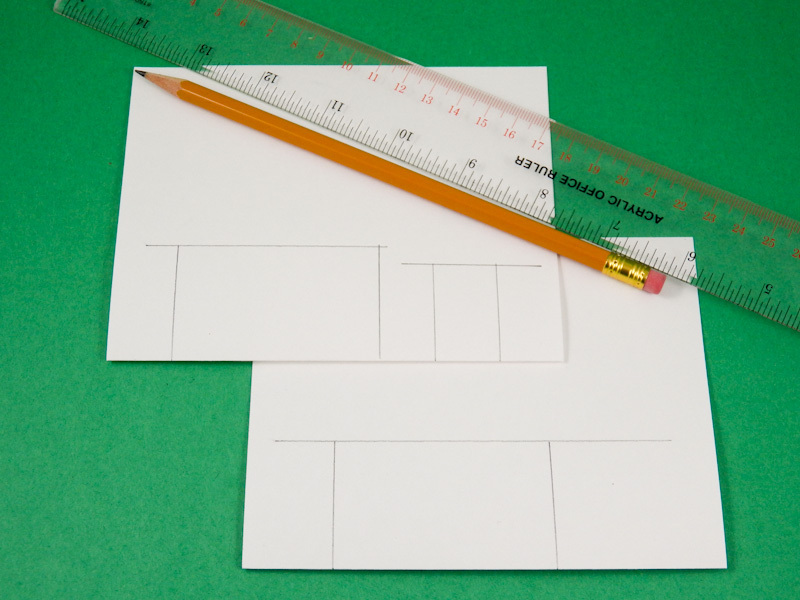 Cutting straight lines with an X-acto knife and a ruler is straightforward. Be careful though, X-acto knives are sharp and you wouldn’t want to hurt yourself or slice too long a line. OA which have domes, curls, or swirls are made the same way as linear cuts. However, they are more challenging because you need to manage your knife with good control. In many ways, you are like a surgeon. This mini lesson will not address these rounded cuts, but you may try them yourself. 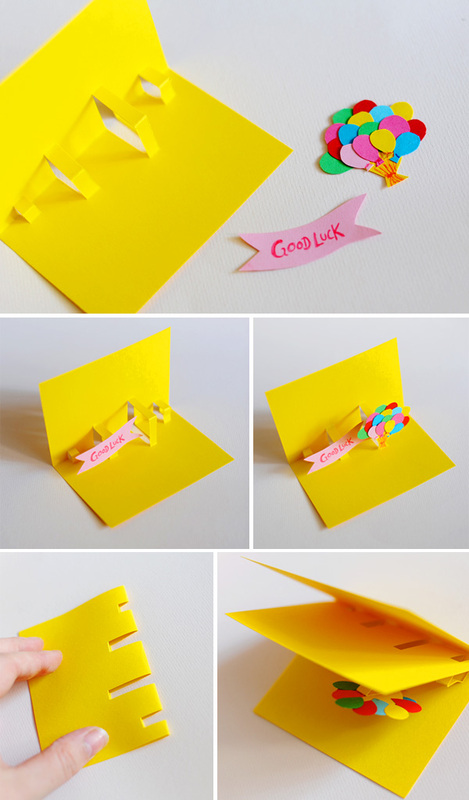 To begin, let’s try an easy pop-up card that you can make with scissors. 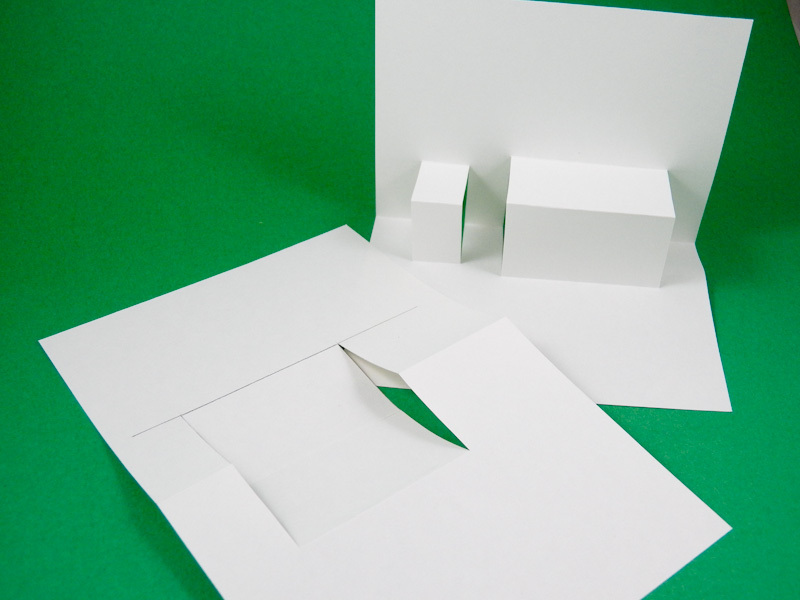 Fold a piece of paper in half and cut two notches (step 1). Valley fold and then unfold the flap of paper (step 2 & 3). Open the paper and push the flap inwards so that it lies in between the folded sheet (step 4). Make sure that the flap folds along the crease made in step 2. There you go, your first pop-up box! An OA expert would draw the pattern as shown on the right. The black line across the middle of the sheet represents the fold line: this is where the paper is folded in half to make the card. The vertical black lines represent the places where you cut. The blue line represent valley folds. The red line represent mountain folds. Other artists may use slightly different notation, but the idea will be similar. Let’s add another box on top of the box pop-up made above. To do this, cut two notches on the edge labeled A. 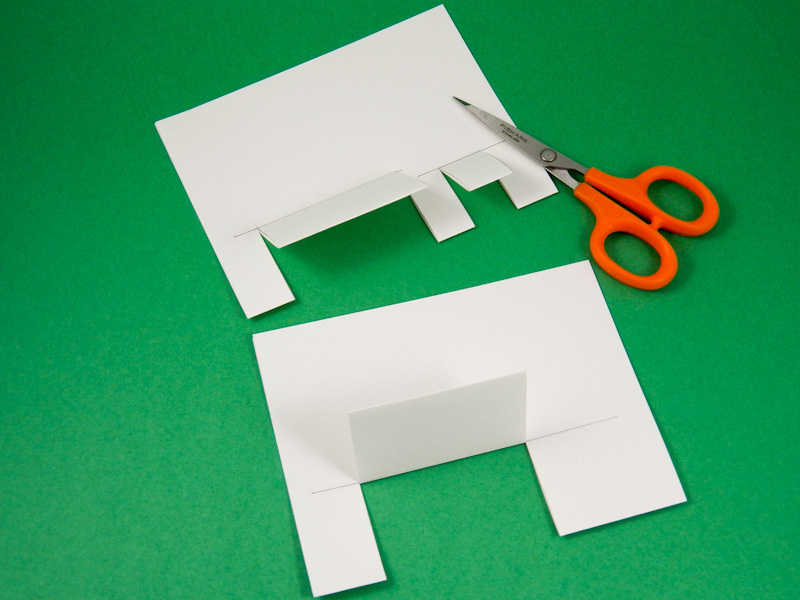 Only cut the top folded sheet (if you cut all 2 layers, you will get three boxes). Repeat the folding sequence as in exercise 1. The result is a box on top of box. The upper box will always be a little smaller than the bottom box. You can repeat this process to get stacks of boxes. The pattern (or diagram) is shown below. Examine it carefully and confirm that the valley folds and mountain folds are as described. Be sure to understand the pattern because in the next exercises, we will no longer show the detailed instructions. All information will be compressed in one image: the pattern. Let’s try the same thing again but with the inner edge labeled B. Make an easy pop up box as in exercise 1. Open the card slightly, jam scissors between the sheets and cut two notches in the inner folded edge B. Valley fold and unfold this new flap. Push the small flap towards the back of the card. Now it looks like a chair with wide armrests. The pattern is shown on the right. If you repeat the exercise using the edge labeled C, you will get a small box in front of the original big box. This is the same as the result of exercise 2 flipped over. There are other variations you can try, but let’s move away from the boxy pop-up. Imagine that you want a box that is flat like a shirt-gift box. Namely, it is short and deep. To make the box short, the cut above the fold line (A) should be short. And, to make the box deep, the cut below the fold line (B) should be long. Because the lengths of the cuts above and below the fold line are not the same, you can’t use scissors anymore. Time to move on to the X-acto knife. An OA expert would proceed this way: – draw the lines where cuts and folds will occur, – make the cuts, – make the necessary folds one by one, and then – collapse the pop-up into its final shape. Turn this pop-up upside down. Now you have a building found in many OA designs. Make a dome roof, cut out windows and doors: congratulations, you’ve made your first building! Consider the shirt gift-box above. Let’s make this box skinny so we have room to add other elements in the pop-up. Let’s make a few more boxes beside it. Let’s make it exciting my making the other boxes bigger and bigger. Better yet, let’s push the boxes side by side. Now it looks like a staircase. The pattern for the staircase is show on the right. Copy this onto your paper, make the cuts using an X-acto knife. Use a creasing tool to help you make all the valley and mountain folds. Collapse the model and you have a staircase! Careful examination of the staircase will show that you didn’t need to cut each step all the way down to the base of the paper. You can modify your pattern and make a more sturdy staircase. Draw the heart shapes on the front of the card using a pencil (draw lightly as you will need to erase any pencil marks that remains after cutting). You can also use stencils to draw your heart. Follow the first step of the instructions in the Stencil Card section above to make your own stencil. You can also draw other shapes such as flowers, balloons or square windows. If you do not want to draw directly on your card, draw your pattern on a sheet of paper, and use this as a template to cut through your card. 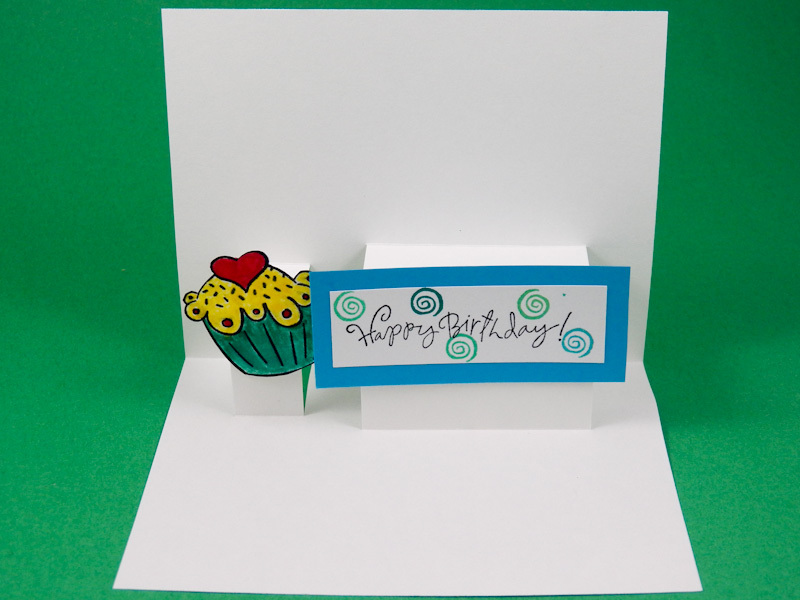 Tape or use repositionable glue to attach the template to your card. If your pattern is large enough, you can use scissors to cut the window out. If your pattern is small or complex, then you will want to use an X-Acto knife to cut the shapes out. I’d recommend cutting your card on a self-healing mat or something you don’t mind cutting up (old magazine, stack of paper, phone book), so you do not damage your table top. Finish the card by decorating the card behind the window. Here are some creative ideas of things to put behind the window: a photo; patterned paper, text, stenciled shapes, chocolate hearts or kisses. 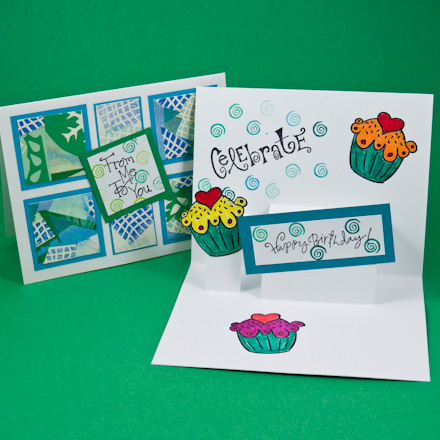 Here are other examples of stencil cards using acrylic paint from Bless This Mess and spray inks from Artful Kids. The Crafty Crow used a very unique technique with Q-tips and stencils to make a Valentine’s day card. 2, So who invented Sliceform? Sliceform techniques derived from a mathematician called Olaus Henrici who taught in London in the late nineteenth and early twentieth century. He used the cross-section model of quaternary surface, which is similar to a spherical, or oval, or parabolae hyperbolae. But then, Sliceform started being used in geometry simulation teaching. Science Museum in London still retains Sliceform models from the 19th century until now. 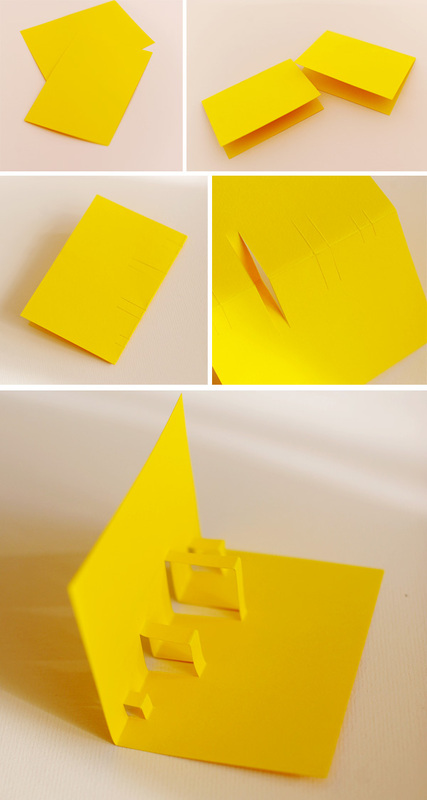 The following models are simple sliceform models for beginners to guide you how to assemble and attach to the card. They seem to be so simple and do not take much time, so some people might think they’re bored. But actually it’s totally a misconception. Just try them before challenge yourself at higher level. 4, How to attach pieces to form sliceform modeling? In most cases, you should cut 2 pieces which will be paired together, then cut the grooves and assemble them. Some models have numbers in the diagram to display the order of the pieces assembled. Some Slideform pattern is accompanied by assemnble diagrams which helps us easily imagine the structure of the card so that it can be folded easily. When cutting the slideform pattern you should cut carefully; especially grooves, as if cutting unevenly between grooves can make them not fit together. In addition, it can make the card inflated. A well-cut pattern when folded will fit completely and the card will be flat. Another important tip is that when cutting the grooves, you should cut them wide enough to fit the thikness of the paper. If they are too large, the model will collapse easily, especially when building complex patterns. In contrast, too small grooves can make folded form blocked. 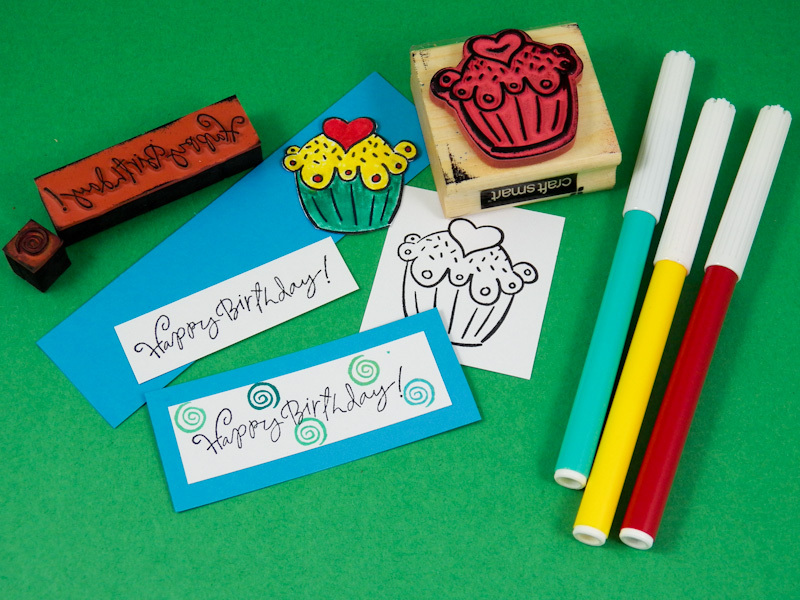 Paper cutting is a type of craft aged hundreds of years, but it is still very popular today. The following brief description will generalize somewhat about the development and history of this art. Before the invention of paper, man has recorded the documents which are figures drawn in the caves or carved on clay tablets, and then in next period people used leather, carpentry to store the document. Since the Chinese invented paper in 105, paper began to be widely used in China, and until year 750, new paper production techniques spreaded to Samarkand through Chinese prisoners in a border dispute. Paper was brought to Europe from the 12th century through the cultural exchange between Western Christianity and Eastern Arabs as well as through Spain in Islamic periods. With the introduction of paper, paper cutting art has appeared almost the same time. Soon it became very popular in China, especially in the Song Dynasty (960-1279). The first artist is perhaps the members serving in the court; paper cutting has quickly spread and become a folk art, it was used bu Chinese for various reasons such as decoration for homes, lanterns, festivals, etc. The patterns made from paper are also used as decoration for sedan chairs, boxes, chests, and disk). The model for the Chinese paper cutting is mainly taken from Chinese mythology. Tissue paper (a very thin paper) and parchment are often used for this art. Follow the footsteps of merchants via the Silk Road, Chinese paper cutting art first came to Austria under the gift to the king in the 15th century and later spread throughout Europe. After being “exported” to Europe, it has become a popular traditional culture, especially in Germany, Poland, Netherlands, Switzerland and some other countries. The initial work is often “palm-sized” and include small landscapes and decorative floral motifs; paper cutting pattern at that time is often used to decorate the interior because it is cheaper than the traditional carvings. In 16-17th century, paper cutting art began to spread out and its name is different depending on the country. In Poland (wycinanki) paper cutting peaked between 1840 and the start of World War I. The colorful works made with sheep shears. Even today Polish paper cutting is still made with raw sheep shears and mainly for home wall decoration. Most works have the shape of a wheel or square, roosters and hens, the fairy tale in which a number of common motifs. 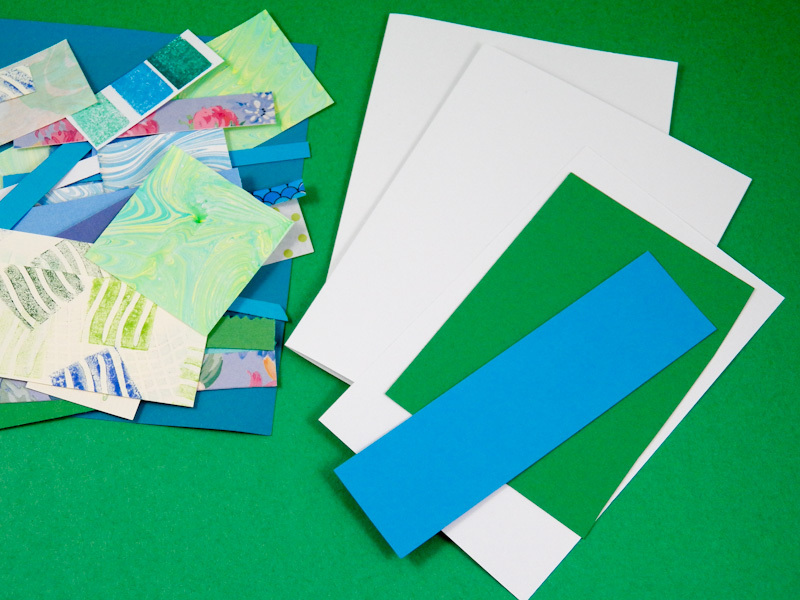 Some artists often use colors in their designs using multiple sheets of paper glued to each other. Papercutting art in the United States began with German immigrants in Pennsylvania, as well as others who have taken their craft to the US from Europe. Although this at has never attract large number of participants in the past, recently it has been a revival by paper cutting enthusiasts and collectors who are looking for ancient works .The paper cut Papercutters Guild of America (GAP – www.papercutters. org), is an association of the largest paper-cutting artist in USA with hundreds of members around the world. GAP members includes from amateurs to professionals, and from the beginners to the true artists. There are even a number of participants who do not not cut paper, but only engage in the collection to study tradition papercutting. There is no requirement for members. Everyone is encouraged to start with the talent they have, and develop skills and their art as part of a paper cutting community. Paper cutting in Mexico called Papel Picado, or “perforated paper” and originated in ancient Mexico. The Aztecs used berries and bark to make a rough form of paper, called ‘Amatl.’ In Mexico, during the mid-1800s, people had to purchase goods from “Hacienda” (a type of form as the subsidized sales in Vietnam) and here they begin to access the paper from China. In recent years, tissue paper has become primarily paper used for Papel Picado. Artisans will create 40 to 50 layers of different colors sheet of paper silmutaneously and they use fierritos (looks like the skew for kebab skewers), or opaque. When completed, the work is hanged on the wire to make long banners used for weddings, religious festivals, and other special events. Designs include birds, flowers, and animals. Skeleton is also used to celebrate the “Day of the Dead,” a special celebration in Mexico. Papercutting art has become part of many different cultures, including Jews. Traditional paper cutting of the Jews has been used for people to decorate ketubahs (contract prenuptial agreement. It is considered part of traditional Jewish marriage, Ketubahs outlines the rights and the groom’s responsibility, in relation to the bride) and holidays (Shabbat Mitzvah, and Passover, etc. ); and is hanged appreciatedly as works of art in the homes of the Jews. A silhouette is the image of a person, animal, object or scene represented as a solid shape of a single colour, usually black, its edges matching the outline of the subject. It is a form of paper cutting. The first silhouette in Germany has been made about 1631. For the first time, the shadow of your loved ones have been preserved. It reflects the desire to capture portraits of people using a simple paper cut. A silhouette portrait can be painted or drawn. However, traditional methods of creating portrait silhouette is cut from black cardboard light, and mount them on a light background (usually white). A portrait artist will cut the traditional silhouette portrait of a person within minutes. Japan is one of the countries influenced by Chinese paper cutting art. But the Japanese have developed it into one of the national unique art and culture. The term of kirigami is commonly used for this art. In the Japanese, “kiri” means “cut” and “gami” means “paper. Typically, a kirigami work is started by folding into several parts, the artis would then unfold the paper after bearing the image of a snowflake, symmetric polygons, or the flowers… (the common is that they are symmetric through the center). Such works are called Mon-kiri. 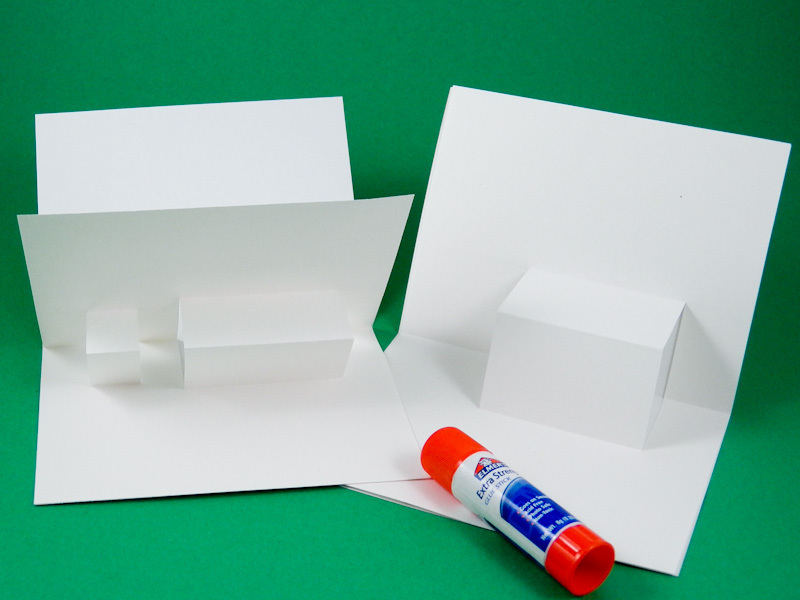 Firstly, at the very beginning, let us show you some basic concepts of kirigami. 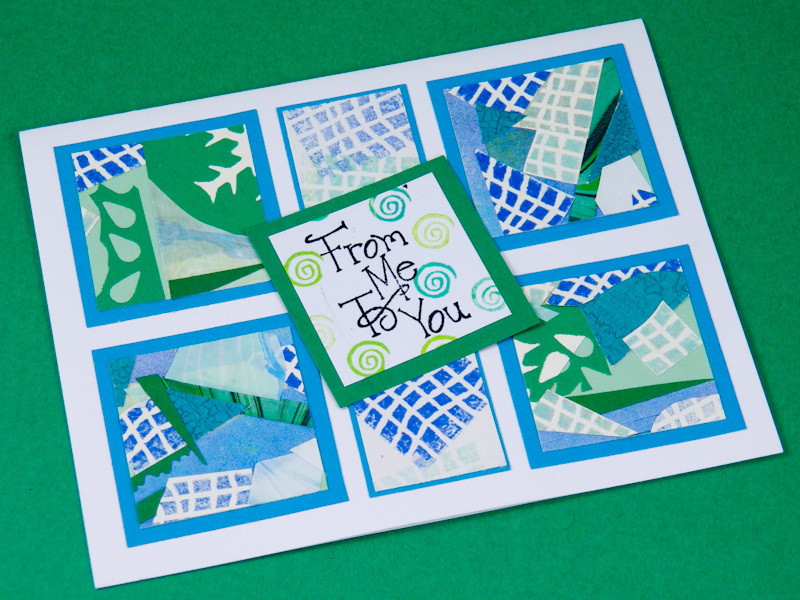 + Outline cutting: It is popular with cards designed by using triangle method combining slice form or multi layer. Glue is usually used to connect parts of card. + Pop up kiri (all motifs are created by cutting, color printing is limited or nod used). It’s common with slice form and multi layer, triangle style is relatively rare. Glue is not used. Latches or interlock links are usually used in such types. +OA (origami architechture) is presenting architecture on paper, often used sliceform (180 degree) or multilayer (90 degree). It is considered a typical group in pop up kiri. So how to conclude? Is kirigami easy or not? It’s hard to find out a general anwer for this question. There are many players said it’s easy, but no less than than say it’s too difficult, it depends on your own. Thus, this post is mainly to discuss the level of kirigami players, hope that it can be a reference to help you evaluafe your skill yourself. This ranking is for all categories that I presented before, because writer couldn’t have sound knowledge in all of them. Level 1: Players that can cut based on available patterns. 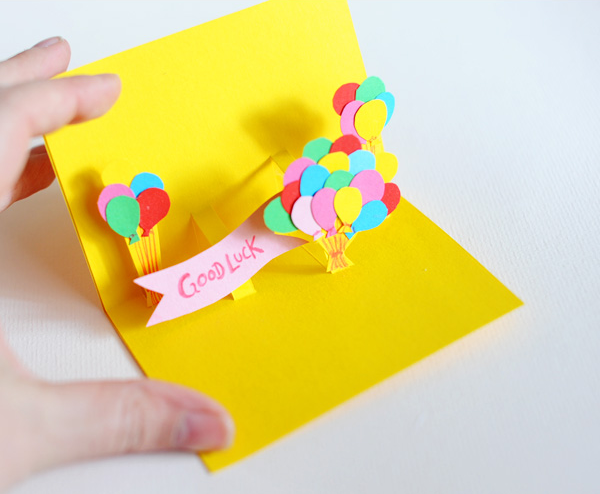 In kirigami, the card are usually cut out and finished by the author, then there will be 1 cutting template (pattern) provided to people based on that; they then cut the lines on the paper to complete (0 degrees), or then fold to complete based on a sample of finished products (pop-up). It’s pretty easy for you to reach this level, because anyone can cut the lines on paper. Workmanship is classified based on the cutting speed and sharpness of line cutting, ability to folding 90 degree cards, OA, or attach precisely 180 degree pieces sliceform. Proficiency in this level, you have a clear understanding kirigami then. And it also decided your passion to kirigami, you’ll probably give up because it’s too boring, easily, because all you need is simply downloading pattern, printing on paper, then cutting and finishing, (nothing can be easier, right?). But there are also players who learn deeper in this subject, and move on to Level 2. Level 2 refers to people who can redraw other’s work. First of all, write would confirm that, redrawing a pattern is not a challenge, it does not require a professional drawing skill, or skillfulness. The only requirement is that the understanding of basic principle of kirigami, to explore the method used by the author, then finish the pattern is too simple. And to understand the principles, avoiding errors in the rendering process, they should have experience in cuttingand proficiency in cutting ability. Once player have mastered this level, usually forwarded to the next level, few people stop at this level without progress further. Level 3 includes those modifying pattern of others into their style. Level 4: Realize your own ideas. You may be wondering, why level 4 is not the highest level, which is the highest level. In my point of view, then at level 4, every work is customized to author’s style, thus no matter it’s beautiful or not, it’s still achievement of author. But at this level, on the other, to express the idea of ​​other people, other people’s mark is what left on the paper, combining author’s style and other’s idea into the design is not an easy task, especially when the idea was to not have a deep understanding of this subject. More importantly, when the work is created, others will be given, give damn it, the designer will have to accept this, like it or not. So surely it is harder in comparison with developing author’s own idea. Do you take any risks in your life? Do you set your goals high, and then work hard to reach them? If not, how much progress can you be making? Of course, there is always a slight chance that you might fail, but you will have learned invaluable lessons along the way. So don’t be scared to have high expectations for yourself. If you have reached one goal, set another one, one that might be even more of a challenge. For example, maybe you want to run a marathon, but are too scared to make this your goal. You are allowed to start small. Start by just running a local 5k, and then a 10k. Smaller victories along your path will lead to greater ones. We attach here a new pattern from author Tien Phuong. Hope that you will always keep your passion and strong desire to achieve success in the future.